Probably THE answer to your next heartbreak or bad day at work. Instead of having to chose between drowning your sorrow in a glass of wine or a pint of ice cream – take Wine Ice Cream. Mercer’s Dairy has most likely a flavour for you, fruity like ‘Cherry Merlot’ or ‘Peach White Zinfandel’, or more indulgent with ‘Chocolate Cabernet’. So, what do you think? New, innovative or just plain strange? Yes, I know. There are movies out there which are much more obvious foodie movies BUT… well, where to start? 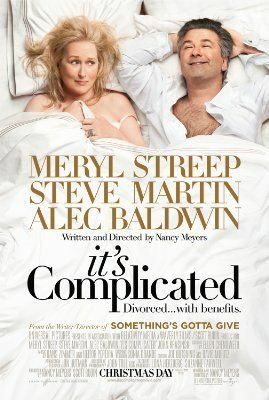 Have you seen the movie??? Food everywhere and, I have to say, I love those sets!!! For most of us foodies entering a food or a somehow food related store is something of a two-edged sword. On the one hand it’s like entering heaven being among all those great products and you somehow suddenly develop the ability to come up with an excuse to pick up just about anything! And this is exactly what leads to an emptiness in our wallets which results the moment you leave the store in the suspicion that you probably, just maybe, have spent way too much on things you don’t actually need (though, define ‘need’ right?!). There is different stores like this. You know IKEA? Hardly anybody comes out of IKEA without not buying at least, oh I don’t know, a candle… or some Swedish cookies… or a set of those pretty kitchen containers… Oh well, we’ve all got out little weaknesses. 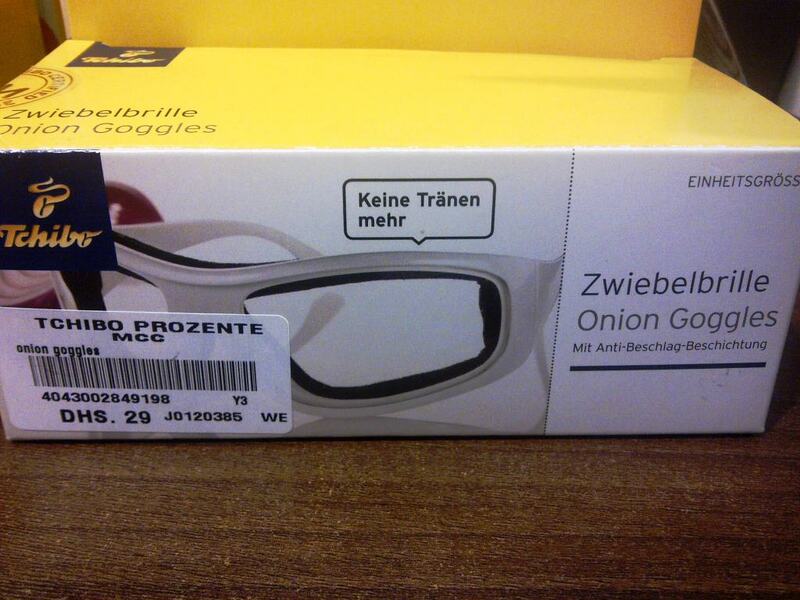 The onion goggles!!! Actually, perfect timing. You can right away use it for this year’s skiing. And seriously, who doesn’t hate the tearing up especially when preparing a special dinner for family or friends. P.S. : Do you have Onion Goggles? You need some? Let me know what you think and leave a comment. Who is Delia? Yeah, my first question, too. I got the book recommended and lent to me so I thought I give it a try. And thank God I did! I had the unbelievable good fortune to live my first one and a half years in Dubai with two lovely ladies, one from Russia and one from Korea. We had a fantastic time and probably even more so since we were a tiny little group representing three different countries, two different faiths and three very different personalities. Food wise, I don’t remember all the items on the Korean side in detail but it was pretty much things like little fish, cabbage, spinach etc. all in mild to extremely spicy sauces. Little bits where then taken out with the chopsticks, added to the bowl of rice and enjoyed. The German side looked … different. I am a huge cheese fan so you can see cottage cheese, cheese slices and cream cheese. 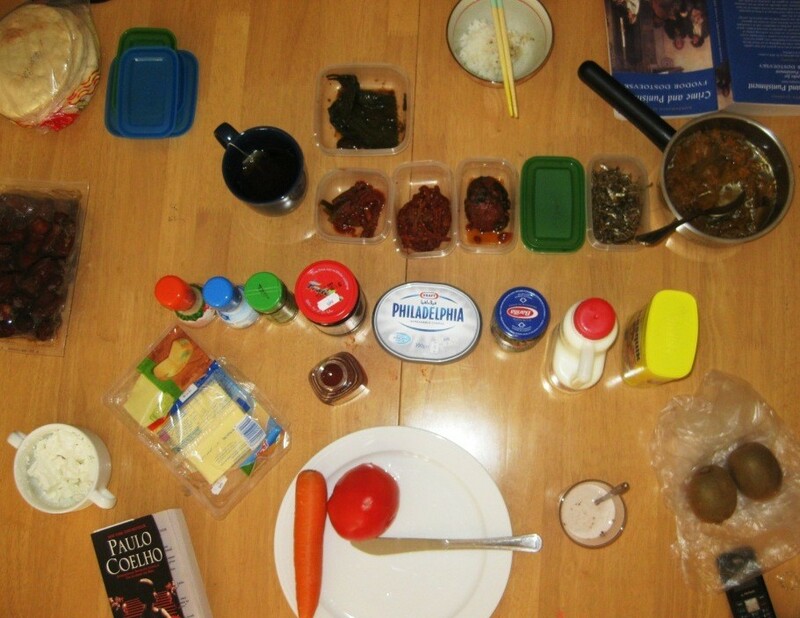 Those were then combined as per liking of the day with salt and pepper, pesto or some fresh tomato and carrot. No breakfast without anything sweet so you can see honey and jam, and last but not least kiwi for the health factors and some cold chocolate milk. My friend and I looked at each other and laughed. You never think about your breakfast routine because that what it is to you, a habit you follow every day almost blindly. This made us both realize how different our’s were just because we happened to be born on two different continents. Dubai is known for throwing people from opposite sides of the world together but this was happening on such a domestic day-to-day level… brilliant!!! This is exactly what I meant here when I said food brings people together, peacefully for a good meal. Don’t get me wrong. It’s not that I don’t think this amazing dish, which can be so beautifully accessorized with anything from butter and syrup to whipped cream and fruits, deserves to be celebrated. But a National Day? Really? The fact that remains (and really the only one that counts) is: it is DE-LI-CIOUS. Additionally, with dipping in a milk-and-egg mix and fry it, French Toast remains one of the easiest recipes to whip up, may it be for breakfast, brunch or as dinner dessert. So therefore, enjoy and happy National French Toast Day! You might have seen it recently on CNN. A spot. It looks like a commercial but it is not. 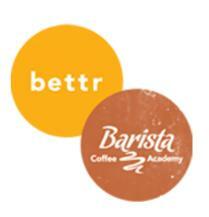 A lady is introducing her Singaporean coffee company, Bettr Barista Coffee Academy. As the name suggests it is much more than just one more coffee shop among the Starbucks, Costas and Neros of this world. Pamela Chng is the founder of Bettr Barista and offering next to coffee also support to local women.